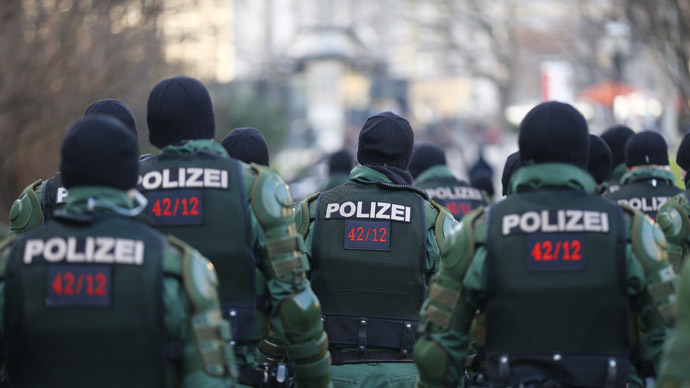 A carnival parade in the German city of Braunschweig has been canceled by police due to fears of a terror attack. Police say they received credible information that there was a "concrete threat of an attack with an Islamist background." The carnival street parade was due to take place on Sunday, but police canceled the event and warned people to stay at home. Police spokesman Thomas Geese said, "Together with city officials and organizers we evaluated the information and then, at very short notice, decided to cancel the street parade," AP reported. Geese mentioned that the popular parade in Braunschweig, which is not far from Hanover, was cancelled just 90 minutes before it was supposed to start. He added that “many people arriving at the train station from out of town were already dressed up and very disappointed – but we didn't want to take any risks." Geese did not want to give any further details about what had happened, but did say the warning had come from intelligence sources. Carnival in Braunschweig (Germany) cancelled amongst fear of an islamic terror attack. Another example of Sharia Law implemented in Europe. Braunschweig's police chief Michael Pientka told German public radio NDR that there was no connection to the terror attacks in Copenhagen, where an attacker killed two men this weekend, one at a free speech event and the other at a synagogue.